Here I have to make a distinction between culture—the term that anthropologists and others might use to remark upon the differences or commonalities between different groups of people—and Culture (with a capital “C”) This capital “C” Culture might be thought of as a proper noun, a name for all of those symbols, myths, images or other things that either iconically represent or point to some significant difference shared among a group of people. This Culture is comprised of things that have a surplus meaning beyond themselves. So, for example, while preferences for different foods or the use of a fork might mark a difference between, say, the average Chinese and the average American, “rice” and “chopsticks” become symbols of those differences. There is a difference between rice that feeds and Rice that means. Curiously, while tourists snap photographs and excitedly experience Culture as presented and performed on a tourist itinerary, they struggle with the differences that are also marked and remarked upon as “culture.” So, for example, an American tourist at the Forbidden City could marvel at the beauty of the imperial palace as an example of Chinese Culture while deriding the public spitting of locals as, “Ugh, Chinese culture.” I vividly remember a tourist walking in The Master of Nets Garden in Suzhou—enjoying the beautiful spectacle of a packaged classical Culture—only to confide in me that she had a horrible case of constipation brought on by “holding things” to often and for too long. Her intestines had seized up—held captive to a fear of stinky (read: cultural!) Chinese bathrooms. A highlight of every tourist itinerary to that I led to China was a visit to the world-famous Terracotta Warrior Army of Emperor Qin just outside of Xi’an. In fact, it would not be an exaggeration to say that the standard tourist geography of China has two primary sites: The Great Wall and the Terracotta Warriors. The sights at these two sites offer visitors with an opportunity to imagine a classical Chinese imperial grandeur–Culture in its most touristic sense. 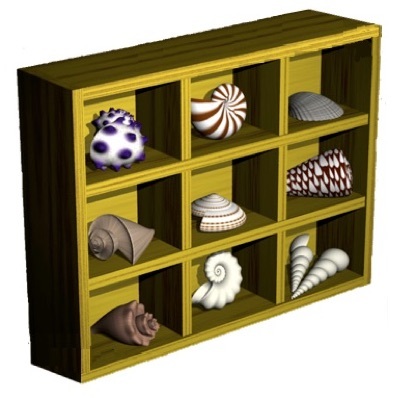 In my second year of graduate school in Anthropology at the University of Washington I took a break from classes and did some guiding to make some extra cash. When I returned to Seattle I took a fascinating seminar with John Pemberton on history, colonialism and culture. In that class he encouraged us, among other things, to think about the ways that culture—particularly national Culture—can be historicized. I was particularly fascinated with his work and the work of others that examined the way tourist sites and museums provide contexts for social interactions that teach these messages of history and Culture. Specifically, however, I was interested in the way these narratives relate to human memory, providing contexts for individuals to remember pasts that they never personally experienced. In a very real sense, how could a place provide a context for evoking personal memories, eliciting new ones and perhaps even re-membering them into something new. How are museums or tourist sites sites for creating memories? The museum was discovered in the early 1970’s by Chinese peasants digging a well. They discovered a lot of ancient funerary statues in various poses. Chinese state archaeologists were dispatched to the site. The archaeologists dug up soldiers, reconstructed some of them and built a museum. The museum has become world-famous. 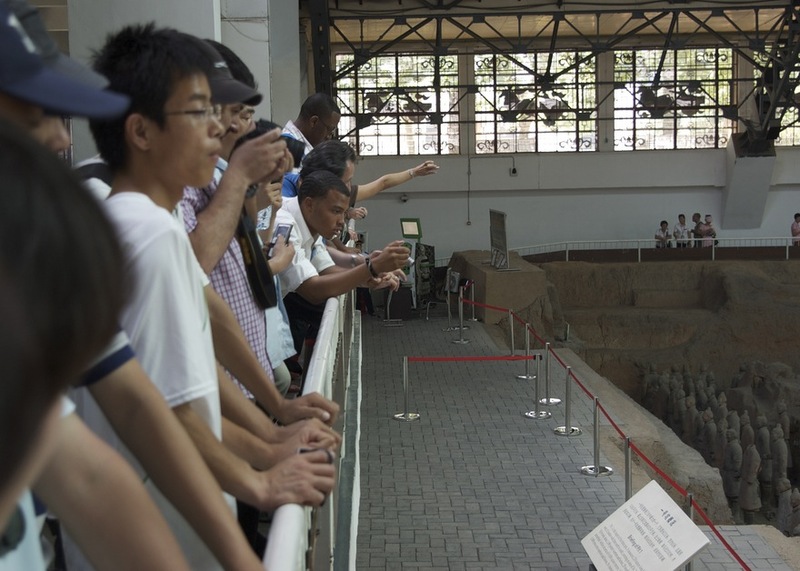 Tourists flock to see the warriors and the warriors are dispatched around the globe to satisfy tourists’ desires for an experience with the relics of China’s ancient past. Other than close proximity to his tomb and the period of his reign, there is nothing that definitively ties the warriors to Emperor Qin. In other words, they might not even be Qin’s statutes. In the final years of the cultural revolution some peasants discovered objects that have become the preeminent symbols of post-Mao Chinese national culture. The most interesting thing, however, was that very little is actually known about the warriors. On visits to the museum, tourists greet their first view of the warriors with “ooos and ahhhs” snap dozens of photographs and then mill about the museum seeking more meaning. There is, however, not much more to say. 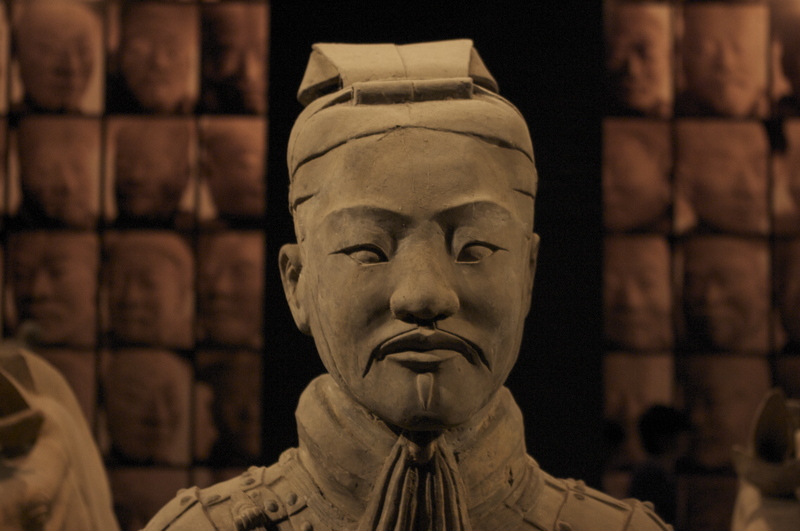 Guides and guidebooks offer stories of Emperor Qin, but the fact is that most foreign tourists really don’t know much about him and archaeologically speaking the warriors might not even be his. 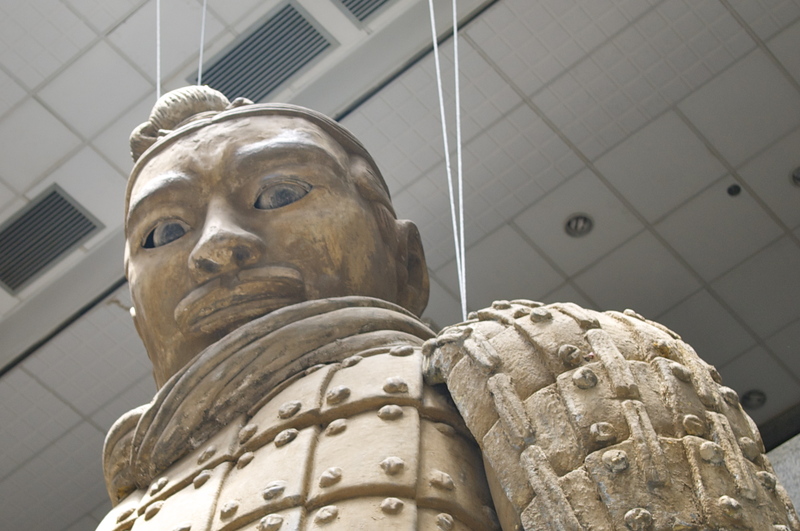 In other words, one of the most significant tourist sites in China—one of the places to see Culture—is basically just a collection of two-thousand year-old shattered, silent terra-cotta statues without a history. So what actually goes on at the site? What does it do? What is it for? Some things can be cooked quickly, while other things need to cook much more slowly. My raw term paper cured slowly in the back of a file cabinet for years while I finished my Ph.D., got a job and even got tenure. I never forgot my interest in the museum and finally a while back I got the chance to revisit the entire project for a collected volume being put together by Marc Andre Matten examining significant places in China that site national and cultural memories. During the summer of 2010, with some funding from Hamline University, I went back to the museum to spend some time interviewing, observing and collecting data to update my material from the original paper. I have a set of photos from the museum on my Flickr page. It was quite a task revisiting a paper from a different period of my career. The original was not as good as I remembered and, in the end, reworking it was probably not as effective as simply starting from scratch might have been. The paper, however, was published just a few weeks ago in the edited volume, Places of Memory in Modern China. I have the final proofs–which are not substantially different from the final published copy in a digital PDF here on this site. Beginning with the issues outlined above, the paper offers a history of the museum, it’s changing curatorial goals and the different ways that the silent soldiers have been narrated since their discovery nearly forty years ago. It concludes with observations about the warriors and their proliferation globally as signs of Chinese Culture and high-class consumption that work both internationally and domestically. At the same time they are also interpreted locally as ancestors of the Chinese nation, silently watching the course of China’s economic development.